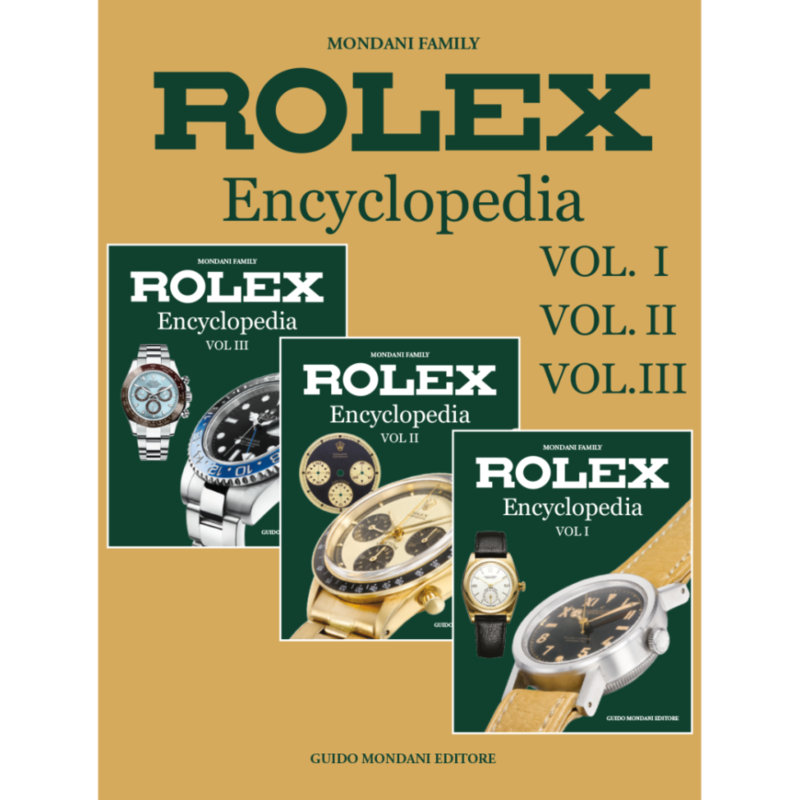 Rolex Encyclopedia is the most complete and updated guide on vintage and modern Rolex watches and it includes every Rolex produced from 1905 until today. A travel through time which you won’t be able to interrupt! There is a big story behind every important brand: a story made of great ideas, great adventures, enterprises and innovations that have changed the world that we knew. This is the case of Rolex. Many things have already been said about its story, but the love and passion of Guido Mondani Editore have no limits and this is why the Rolex Encyclopedia wants to reach the soul of the story of this important brand, which has changed the world of watchmaking forever. No one before has ever written so much about the great enterprises of Rolex: a story of outstanding pioneers, of courageous and far-sighted persons, of state-of-the-art watches, which almost represent the Holy Grail for watch collectors. A story told in three big books that in their kind are definitely another unique mission. Ask yourself a question, any question …. What is the origin of the name Rolex? Where does the nickname “Bubble Back” come from? How many pieces of the Rolex Split-Seconds model were produced? When was the Submariner model created to commemorate the Panama Channel? How many Marks exist for the Submariner and Sea-Dweller models? How many Daytona watch models were produced? How many hours does it take to produce a Cerachrom bezel? You will find all the answers in here. Furthermore, these books allso provides the estimates of every Rolex, basing on the conditions, and the updated price of all watches in production. Air-King, Bart Simpson, Bicchierini dial, Bubble Back, Buckley dial, Comex, Chronographs, Cosmograph, Dato-compax, Daytona, Deep Sea, Double Red, Exclamation mark, Explorer I, Explorer II, Explorer dial, Feet First, Glidelock, Glossy dial, GMT-Master, Ghost dial, Green, Hulk, James Bond, Lumi dial, Meter First, Milgauss, Military, Moon Phases, Oman dial, Oyster Date, Oyster DateJust, Oyster DateJust II, Oyster Day-Date, Oyster Day-Date II, Oyster No Date, Panerai, Patent Pending, Patrizzi Dial, Personalized dials (Astrua, Bucherer, Cartier, Cuervos y Sobrinos, Panama Canal, Polipetto, Ronchi, Serpico y Laino, Tiffany, Verga, Versace), Prince, Quartz, Rehaut, Sea-Dweller, Sky-Dweller, Spider dial, Sub-aqua, Submariner, Texano, Triplesix, Tropical dial, Turn- O-Graph, Underline, Yacht Master.